CNC Machining Department - Unicast Inc.
Our CNC department is equipped with multiple turning and machining centers to accommodate your machined part requirements. 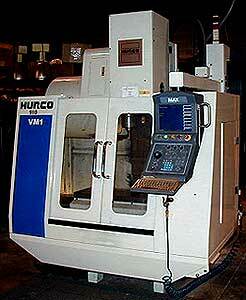 Hurco VM-1 CNC Mill: 4 axis milling machine with rotary table. Workspace dimensions are 26"X x 14"Y x 18"Z and infinite rotation on the A axis. Hurco VM-1 CNC Mill: 3 axis milling machine. Workspace dimensions are 26"X x 14"Y x 18"Z.
Daewoo Puma 10HC CNC Lathe: Maximum turning diameter/length is 10"/20.7"
Daewoo Lynx 200A CNC Lathe: Maximum turning diameter/length is 6.5"/11.8". This machine is also equipped with a bar feeder capable of feeding up to 1.75" diameter material.